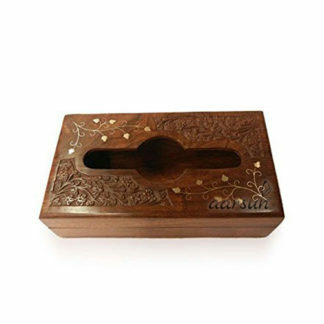 Aarsun Woods brings to you a beautiful handmade wooden key holder in fine quality wood and finishing.The beautiful key holder will give your home very traditional look.There are hooks where you can easily hang your all the keys.There is wooden home design carved over at the key holder. The best gift for your near ones and for your loved ones.You can easily place it anywhere in your home as there is hanging option given at the backside. Give your home very traditional and elegant look with this beautiful key holder.